Solar energy is clean, efficient, sustainable-and expensive. Or is it? Many homeowners simply assume that the cost of solar panels is out of their reach, but in reality, the technology is quickly becoming attainable for the middle class. Rather than leasing panels from one of those home solar startups (and letting them reap the financial benefits), why not join the thousands who are doing it themselves? 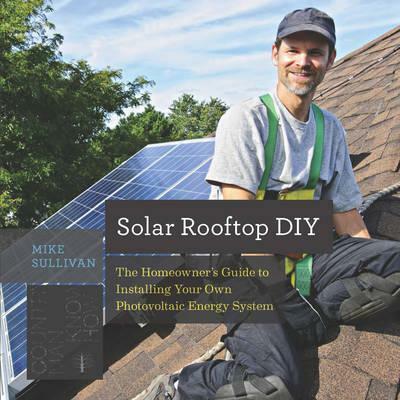 In Solar Rooftop DIY, sustainable energy expert Mike Sullivan offers five design plans-ranging from a few simple panels to a complex, roof-covering array-for building a rooftop PV energy system for any home. Each plan has clear and detailed step-by-step photographs showing the installation process. Many of them require no additional labor-just a few days' commitment for the average weekend warrior. With energy costs only set to increase in the future, now is the time to make the switch to solar and start selling power back to the grid. Mike Sullivan has been installing rooftop solar energy systems on homes and commercial spaces for more than ten years. He splits time between Southeast Asia and Vancouver, Canada.